By the end of the June, the poker supply in Las Vegas will get a little thinner as the Luxor has decided to close its room. The main casino corridor of Nevada will lose one more poker room when the Luxor will close its nine-table room. It will close the room on June 18 2017. The move is the follow up of the move of Monte Carlo who shut its poker room in April 2017. It is also the property of MGM. So far, twenty two poker rooms have been closed in Las Vegas within the span of six years. Now the Sin City has three dozen poker rooms. 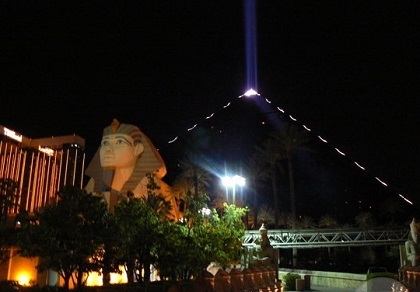 The closing of poker room of Luxor will leave the Strip area of Las Vegas with 260 tables and 18 rooms of poker. In 2007, in Nevada, it was the poker boom height in terms of the market size; there were a combined 396 tables and 26 Strip poker rooms. The move to close down its room came from Luxor after a time of little growth in Las Vegas for poker. Prior to May over the 12 months, poker rooms Strip area took in $77.6 million from cash games, it was virtually unchanged in comparison to the same period before a year.